ANSI Class 2 safety shirts. 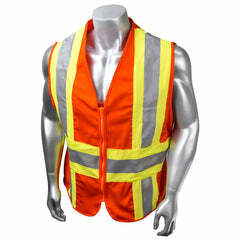 High visibility yellow and orange short sleeve safety shirts with reflective stripes. 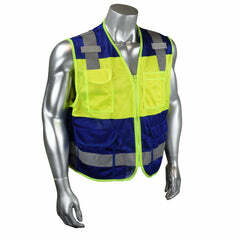 This reflective clothing is required for workers who are near heavy machinery or near traffic between the speeds of 25-50 mph. ANSI designates that all class 2 garments must have 201 square inches of retro-reflective material, with 1.375 inch reflective striping. They must also have 775 square inches of background material and are sleeveless. We can add your company logo. Contact us for more details. 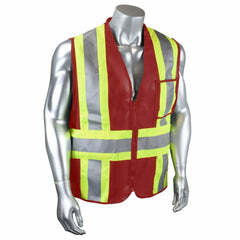 Take a look at our collection of ANSI Class 2 Safety Shirts.